Following months of speculation as to the fate of two wild orcas being held in captivity in Moscow, and mounting outrage over suspicions that they were to be forced to perform for tourists at the opening of the Winter Olympics, confirmation has finally emerged -- the orcas are not headed to Sochi. "No orcas will be exhibited at the Olympics in Sochi. Also no dolphin will carry the torch, as earlier proposed by the region. Both of these confirmed by the President, Sochi Olympic Committee. There had been a plan to send orcas to Sochi (but not necessarily for the Olympics) in early December but it was postponed." 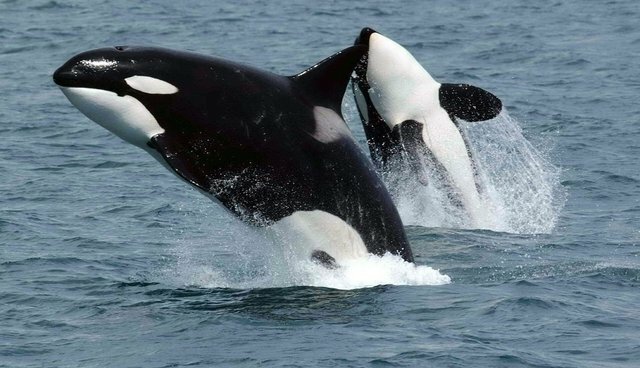 The two orcas in question, a female named Narnia stolen from the wild in 2012 and an unnamed male captured last September, are among five others taken into captivity from the Sea of Okhotsk last year. While their whereabout had been largely unknown since November, Hoyt says five have since been exported already. The others may still end up in the Sochi Dolphinarium eventually. "For now, at least 2 orcas, including Narnia, are staying in small pens in Moscow while others have gone to China," writes Hoyt. "No orcas are performing yet in Russia or China and we suppose they are now being trained for the circus shows." The confirmation that orcas will not be exhibited at the Olympics will likely come as welcome news to thousands who petitioned the idea. But for the animals themselves, like the dozens of others taken from the wild every year to populate marine parks, their lives are still bound to be ones of indefinite captivity -- made no better without the eyes of the world watching.